Acura is a top luxury automotive nameplate that delivers Precision Crafted Performance – a commitment to evocative styling, high performance and innovative engineering, all built on a foundation of quality and reliability. The Acura lineup features six distinctive models – the RLX premium luxury sedan, the TLX performance luxury sedan, the ILX sport sedan, the five-passenger RDX luxury crossover SUV, the seven-passenger Acura MDX, America’s all-time best-selling three-row luxury SUV, and the next-generation, electrified NSX supercar. Acura’s sales and marketing headquarters is located in Torrance, California, alongside the company’s Los Angeles R&D Center and the Acura Design Studio. Twenty authorized Acura dealerships deliver exceptional vehicle offerings and client service across Southern California. Visit Acura.com and socalacuradealers.com for more information. Founded in 1956 from performance on the track to bravado on the street, there has been one constant innovation. It pushes everything we do. With decades of heritage in American motor sports across every discipline, every turn of an American Racing wheel proves one simple thing, we’re never idling. 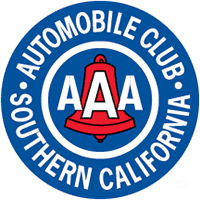 Founded in 1900, the Automobile Club of Southern California is the largest member of AAA federation. With its affiliates and subsidiaries, the Auto Club serves more than 15 million members in Southern California, AAA Alabama, AAA Hawaii, AAA Missouri, AAA New Mexico, AAA Northern New England, AAA Texas, AAA Tidewater, Virginia and AAA East Central. Most often recognized for its industry-leading roadside assistance service, the Auto Club also provides members with competitively priced auto, home, life, and power sports insurance. Auto Club members have access to many additional benefits, including the full service AAA travel agency and trip planning services, AAA Discount programs, AAA Credit Card, pre-negotiated car buying program, guaranteed AAA approved auto repair services, and more. AAA is active in consumer information initiatives such as automotive testing and analysis, as well as highway, transportation, and teen and senior driver safety programs. With over $10 billion in assets, Banc of California is the only full-service, midsize bank focused exclusively on California. Banc of California provide innovative banking and lending products to diverse businesses, entrepreneurs and communities throughout California. Banc of California helps their clients grow their businesses, purchase a home, create jobs, transform neighborhoods, enrich communities and empower their dreams. By supporting community organizations that provide financial literacy and job training, small business support and affordable housing, Banc of California helps to grow our state’s economy and build a more positive and inclusive future for Californians. Ballast Point Brewing began as Home Brew Mart in San Diego in 1992. Since then, it has grown into a national brewery dedicated to the craft of making great beer. Ballast Point tirelessly innovates, honors its local home brew roots, and has a passion for customer service and education. BUBBA burger® is sold in grocery stores nationwide throughout the United States as well as world-wide through the U.S. Military Commissary system. BUBBA burger® is a natural choice for quality and convenience, we are proud to produce our uniquely shaped, gluten free BUBBA burgers. You can take them right from your freezer to your grill or skillet. BUBBA burgers come in many varieties to fit any taste, including the newly expanded BUBBA turkey line and our BUBBA Veggie burger. Race to your favorite local grocer’s freezer today and pick up a few BUBBA burgers so that you are sure to have a winning weekend! Visit www.bubbafoods.com for more information. It’s casual, it’s fun, and it’s for the entire family! Enjoy “Stuffed Shrimp, Shrimp Po’boy, Peel ‘n’ Eat Shrimp, ….” But it’s not just about shrimp. There’s Mahi Mahi, Bone-In Rib Eye Steaks, Hamburgers, Cold Beer, and incredible Specialty Cocktails! Down home cookin’ with a down home warmth, just the way Forrest and Bubba would have done it! Planning a home improvement job? Planting a tree? Installing a fence or deck? For every project, every time, call 811! Whether you are planning to do it yourself or hire a professional, smart digging means calling 811 before each job. Ready to dig? We’ll help you do it safely. Visit www.call811.com to learn more. Firestone is the Official Tire of the Grand Prix of Long Beach, the site of the legendary brand’s official return to the American open wheel racing scene more than 20 years ago. 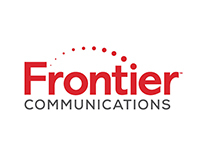 Frontier, a leader in fiber-optic Internet services, provides high-speed, reliable Internet connection to customers on its FiOS network. Frontier also offers home phone service, as well as digital television services with hundreds of HD-quality channels to choose from, as well as extensive on-demand content. The “Official Construction Equipment Supplier” of the Grand Prix of Long Beach, Gehl Company has been on duty building the entire circuit on Long Beach’s streets for 20 straight years. Gehl equipment will also be used to remove crashed and disabled race cars from the track. Gehl also supplies its Dynalift telescopic handlers to other road racing tracks on the motorsports calendar. As the official hotel for the Grand Prix of Long Beach, the Hilton Long Beach & Executive Meeting Center will serve as the credential office and also host many official events during race weekend. The hotel’s international ambience, the friendliness of its staff and first-class accommodations will make anyone’s visit a memorable experience. K1 Speed is an Official Sponsor of the Grand Prix of Long Beach. Founded in 2003, K1 Speed is the Premier Kart Racing Company in the World. With entertainment venues nationwide and international, K1 Speed brings the thrill and excitement of electric go-kart racing to a large audience. Featuring high-performance go-karts, spacious lobby, meeting rooms, authentic racing memorabilia, food & beverages, video arcade, race classes & leagues, Arrive & Drive racing, corporate team building, birthday parties and much more! During race weekend, fans can experience the rush for themselves testing their skills on the outdoor go-kart track atop Arena Park in the Welcome Plaza. Book your next group party by visiting www.k1speed.com or calling (855) 517-7333. For more than 40 years, King Taco has been recognized as a leader in Mexican Fast Food Service. Its consistency and commitment to provide only the best in authentic Mexican food has allowed the company to expand in Los Angeles County. Quality, service, cleanliness and value are hallmarks for its successful image and reputation, and King Taco returns to the Grand Prix of Long Beach to satisfy the appetites of fans during race weekend. Winners drink Korbel Champagne and, appropriately, the Official Winner’s Circle Champagne for the Grand Prix of Long Beach is Korbel, America’s favorite premium methode champenois for more than 120 years. Korbel actively supports the U.S. Olympic, Paralympic and America’s Cup teams and, for the past 24 years, has been the exclusive champagne of U.S. presidential inaugurations. Korbel was named American Winery of the Year by Wine Enthusiast Magazine in 2008. LIUNA—the Laborers’ International Union of North America—is the most progressive, aggressive and fastest-growing union of construction workers, and one of the most diverse and effective unions representing public service employees. LIUNA members are on the forefront of the construction industry – a sector that is a powerhouse of 12 million workers producing 5 percent of our countries’ economic output. The Long Beach Area Convention & Visitors Bureau is the official organization for convention and tourism marketing in the Long Beach area. Established in 1982, the LBCVB is a private non-profit organization funded by city hotel bed tax and membership contributions from over 400 area businesses and community organizations. The mission of the Bureau is to contribute to the economic development of the city of Long Beach by selling, marketing and promoting Long Beach as a destination for conventions, meetings, tradeshows and tourism. The McManis family has been farming in the Northern Interior region of California since 1938. In 1990, fourth generation farmer Ron McManis, and his wife Jamie founded the McManis Family Vineyards. Currently, they farm over 3,000 acres of premium wine grapes located within the premier growing areas of the Northern Interior. In 1998, the company designed and built a state-of-the-art winery and today the McManis Family Vineyards label comprises over 300,000 cases of wine across a range of red and white varietals sourced from ten estate vineyards. Son Justin, and daughter Tanya, are the fifth generation of the McManis family and are also involved in the family business. Modelo started brewing in 1925 in the small town of Tacuba, Mexico. Modelo Especial® is a golden, full-flavored Pilsner-style Lager. Other varieties include Modelo Negra™, Modelo Chelada Especial™ and most recently, Modelo Chelada Tamarindo Picante™. Motegi Racing has been fueled by innovation since 2000. With countless partnerships, and styles for the aftermarket tuner and performance markets. Motegi Racing products are designed and engineered for everything racing has to offer. Find out more at www.motegiracing.com. Mothers® is proud to be the Official Car Polish of the Grand Prix of Long Beach — Southern California’s premier racing event. Grand Prix spectators are invited to visit the Mothers® big rig parked in the Lifestyle Expo with a special treat on Sunday that includes a collection of some of world’s most outrageous supercars at the Mothers® Exotic Car Paddock near turn 9. Mothers® is known worldwide for its premium-grade polishes, waxes and cleaners, and offers a broad array of finish care products under its Back-to-Black®, California Gold®, Marine, PowerBall®, Professional and Reflections® lines. Go to www.mothers.com for information on all of these products, along with a host of how to videos and car care tips in the online Mothers® Detail Guide at www.detailguide.com and the Wax Forum at www.waxforum.com. Follow us on Facebook at www.facebook.com/mothersusa. Motul is a world class French company specializing in the formulation, production and distribution of hightech engine lubricants (two-wheelers, cars and other vehicles) as well as lubricants for industry via its MotulTech activity. Unanimously recognized for more than 160 years for the quality of its products, innovation capacity and involvement in the field of competition, Motul is also recognized as a specialist in synthetic lubricants. As early as 1971, Motul was the first lubricant manufacturer to pioneer the formulation of a 100% synthetic lubricant for automotive engines, the 300V lubricant, making use of Esters technology and issued from the aeronautical industry. Throughout the years, Motul has gained experience as an official supplier to many racing teams and manufacturers and contributes with them to further technological development in motorsports. Motul is supporting those teams in international competitions such as: 24 Hours of Le Mans (cars and motorcycles), FIA World Endurance Championship, Super GT, Drift, Pikes Peak, Japanese championship Super Formula, Blancplan Endurance & Sprint Series, MotoGP, World Superbike, MXGP, Endurance World Championship, Supercross, IOM IT, Ice Speedway Gladiators World Championship, F1 Boat and scores of others. NOS has been one of the fastest-growing national energy drink brands outpacing the category and all major competitive brands. NOS is a gritty brand providing high performance energy for consumers to get stuff done; less about the stunts, female models and fantasy than its competitors. NTT is a fully integrated technology, networking and innovation services leader that helps enterprises exceed their digital transformation goals. More than 80 percent of Fortune 100 companies trust NTT for security expertise and world-class services including consulting, cloud, networking and systems integration. Significant ongoing investments in R&D reinforce our foundation in digital and cutting-edge technologies including AI, IoT, and quantum computing. NTT companies, including NTT DATA, NTT Communications, Dimension Data and NTT Security, generate over $106 billion in annual revenue worldwide by providing new and highly valued ways of serving our clients and society as one NTT. One of the world’s most iconic and recognized global consumer brands, Pepsi knows how to bring people together with a variety of products and flavors to amplify any occasion. Whether having a meal with friends or cheering on your favorite driver, Pepsi is always there to share joy and help celebrate those special moments. Delicious. Refreshing. Pepsi. The Port of Long Beach is the premier U.S. gateway for trans-Pacific trade and a trailblazer in innovative goods movement, safety and environmental stewardship. As the second-busiest container seaport in the United States, the Port handles trade valued at $155 billion annually and supports hundreds of thousands of jobs.The Port welcomes 5,000 vessels a year and serves more than 140 shipping lines with connections to 217 seaports around the world. Founded in 1911, the Port began its second century of service with a $4.5 billion capital improvements program, the largest in the nation. It is building some of the most modern, efficient and sustainable marine facilities in the world. Premier is proud to be a sponsor and a partner of the Grand Prix of Long Beach, for the 25th consecutive year. Premier locally provides turnkey catering and retail food and beverage services for the Long Beach Convention and Entertainment Center, The Aquarium of the Pacific and Off Site Venues. Food and Beverage services offered by Premier span the full spectrum from retail options for public special events to full service catering needs. In practice and policy, we are team-focused, committed to working as a discreet partner with our clients in creating a flexible food and beverage experience to exceed expectations. Whether it’s news around town, a high school game around the corner or a lap around the Grand Prix circuit, no one covers Long Beach like the Press-Telegram. We know the community inside and out–and we should. Because since 1897, Long Beach has been much more than our beat. It’s been our home. Reaction Audio-Visual is an Official Sponsor of the Grand Prix of Long Beach.Reaction Audio Visual has over 25+ years of combined experience in technology, production, audiovisual, computer rentals, and event execution. We pride ourselves in our diverse and superior service offerings to our clients. We are not just a technology rental company; we provide first class services from planning to execution to 24-hour customer support. Ricoh is empowering digital workplaces using innovative technologies and services enabling individuals to work smarter. For more than 80 years, Ricoh has been driving innovation and is a leading provider of document management solutions, IT services, commercial and industrial printing, digital cameras, and industrial systems. For further information, please visit www.ricoh-usa.com. 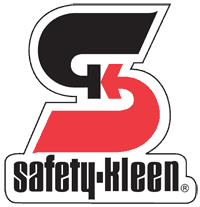 Everyday, Safety-Kleen enables thousands of businesses to stay in balance with the environment. We achieve a working harmony of two seemingly opposed missions: protecting the environment while protecting our clients’ bottom line. In a thousand work sites, our crews and technicians perform hundreds of highly specialized environmental services that we pioneered and continue to refine. Our role model for real world success is none other than Planet Earth itself, a marvel of efficiency. SMG is considered the “gold standard” in public facility management. Since SMG was founded in 1977, more than 250 facilities have been brought under its management worldwide. A tireless advocate for the municipalities it represents, SMG has the programs, systems and talent in place to ensure that all SMG-managed facilities run smoothly and every event it hosts feels like a celebration to patrons, fans and guests. Tamiya is an Official Sponsor of the Grand Prix of Long Beach. Tamiya’s main goal is to offer the world the most rewarding modeling experience possible. Grasping the various parts, assembling, and finally painting a finely crafted model is truly a special and rare experience in today’s modern world. Tamiya feels that this hands-on experience is invaluable. So whether it’s our careful attention to quality, or our commitment to ease-of-assembly, we are always striving to create truly fulfilling ways to spend one’s time. Tix is a leading provider of integrated box office software and online ticket sales and services for entertainment and sporting events. We specialize in no-cost, feature-rich ticketing solutions for venues, promoters, producers, universities, theme parks, tours, museums, casinos, theatres, film festivals, concerts, night clubs, music festivals, race tracks, and more. 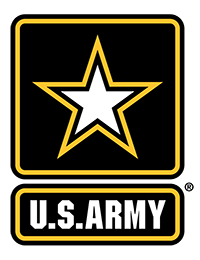 The U.S. Army Accessions Support Brigade is the tactical arm of Army marketing. Through three historic and unique battalions, including the U.S. Army Parachute Team (Golden Knights), the U.S. Army Marksmanship Unit, and the U.S. Army Mission Support Battalion, the brigade is charged with Connecting America’s People with America’s Army. The brigade is operationally aligned under the Army Marketing and Research Group. World Energy is on a mission to deliver lower carbon intensity motor fuels. For more than 20 years, we’ve been building one of North America’s largest coast-to-coast advanced biofuel production and distribution supply chains. In 2018, we acquired California’s only currently operating Renewable Jet and Renewable Diesel refinery and are investing in making the Paramount facility the most advanced multi-technology low carbon fueling hub in the world. By 2021, it will not only produce 300 million gallons of renewable jet and diesel but also produce/distribute renewable hydrogen fuel, host a solar-powered electric trucking fleet, and distribute E85 advanced biofuel. Paramount will be the global beacon for low carbon fuel because supply chains (and communities) really can supply change. Learn more at worldenergy.net.